SAINT-GERMAIN-DES-PRES A few steps from the Place Saint-Germain des Prés, on the 2nd floor with elevator, a family apartment of 150 m²; a lot of 130 m² and a studio with independent entrance of 20 m² that can be combined. 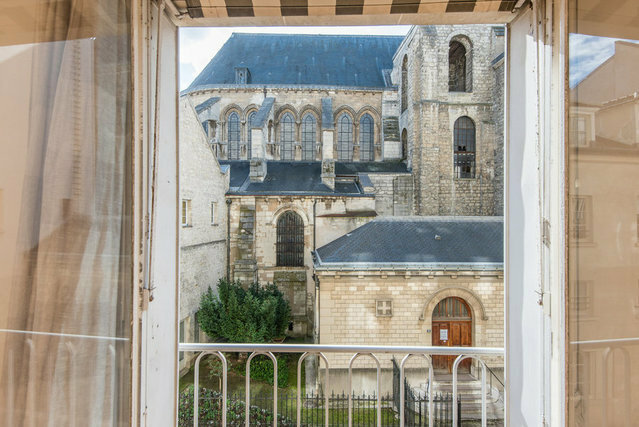 Located on rue de l'abbaye, this rare apartment consists of an entrance, a large living room with sun and views of the Saint-Germain church, a separate kitchen, a bedroom with bathroom and two other bedrooms with bathroom. water. Quiet and sunny.